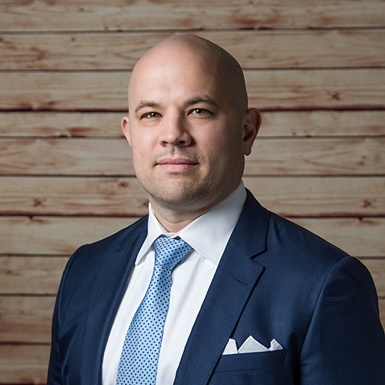 Salomon Chong is the co-founder and CEO of The Mortgage Hub Inc. He moved to the US from the small Caribbean island of Curacao in 1998 to attend Penn State University. Salomon graduated in 2001 with a degree in Supply Chain Management and moved out to Los Angeles to work as a Supply Chain Analyst for Nestle. Within his operations role, he worked closely with sales and marketing on creating processes that integrate all three facets of the organization. Having many friends within the mortgage industry, Salomon found a common theme and that the industry is generally reactive, non-integrating, and often has conflicting operations, marketing, and sales processes. He then decided to apply his experience of integrating operations, marketing, and sales and co-founded his own company called Personal Real Estate Services which later became The Mortgage Hub Inc., with his business partner Phil Checinski. In his free time, Salomon loves hanging out with his family and enjoys staying active through Crossfit workouts, running, boxing and swimming.